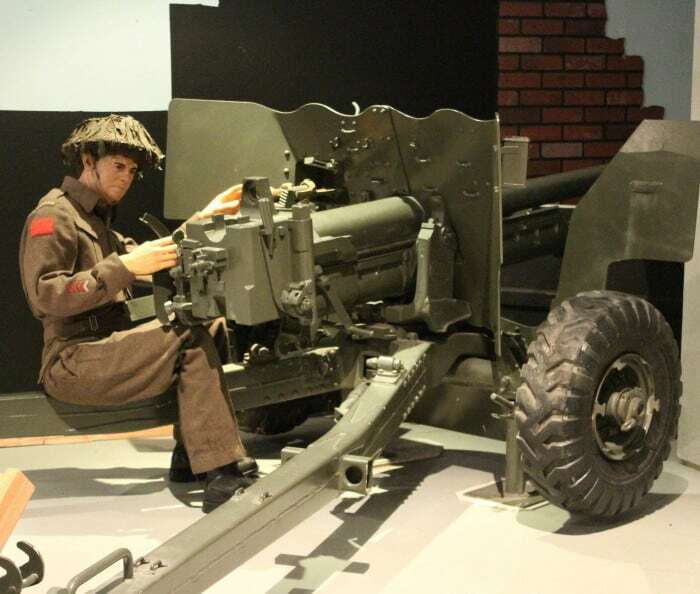 The 6 Pounder Quick Firing Anti-Tank (6 Pdr Atk) Gun replaced the 2 Pounder Anti-Tank Gun in Canadian service in 1942. It was used in action by Canadian Anti-Tank Regiments and Infantry Battalion Anti-Tank Platoons in all theatres until 1945. 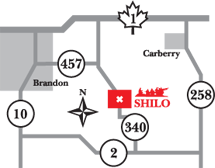 It remained in Canadian service until 1957. Ammunition improvements saw armour penetration rise from 74mm at 1,000 yards in 1942 to 146mm at the same range by June 1944. Canadian production began in October 1941, with barrels being made in Longueil, Quebec and carriages in Regina, Saskatchewan. More than 8,000 guns were produced in Canada during the war, along with almost 7 million rounds of ammunition. This gun was made in Canada. RANGE: 5,500 yards. Effective anti-tank range 700 yards. DETACHMENT: Gun and Universal Carrier with Driver and 5 Gunners and ammunition carrier with Driver and Gunner.